What are the common issues found with Concrete? Concrete mix is a delicate product which can change its colour and texture when the mixture is delayed for application. Concrete mixing procedure done at the construction site has to be done and applied on time; delay in application might result in decolouring of the content which in turn will result in excess hardening of the mixture. Scaling of concrete surface is yet another problem faced in construction industries. Ready mix concrete is an excellent solution to get away from lot of issues. Concrete produced at site is certainly requires more time. Starting with importing ingredients to mixing, there are lot of process in between that takes more time. In addition, sometimes it is difficult to get the work done on time if the ingredients are not supplied or not available. However, ready mix concrete solution will not lead to such issues as buying from supplier or manufacturer keep the construction work going without frequent interruption. Buying ready mix concrete from reputed supplier has relatively less limitations over quantity of concrete. In addition, the supplier will take care of timely delivery and quantity required. Thus, it is much reliable than concrete mixed at site. When compared to concrete mixed manually at site, ready mix concrete is one of the best means to reduce the amount of wastage. Conventional concrete mixing method involves lot of wastage during transit of concrete making components and mishandling of ingredients during the mixing process. Commissioning of concrete batch plant will help to avoid wastage to a great extent. Some companies offer concrete solutions through supplying prepared concrete and this is also an attractive solution for moderate construction works. Concrete making equipment certainly stays a very economical option than traditional concrete preparation process. Compared to expenses over concrete mixing distributed to labour cost, material transit cost, mixing procedure and possibilities of wastages, etc. Storage of construction materials is a big issue. As far as concrete components are concerned, storage remains a big challenge as sometimes it results in wastage also. Ready mix concrete is a complete solution to free from storage options as the supplier will take over all the responsibilities. Why to choose Concrete Ready Mix? Maintaining quality of concrete is the key factor for flawless construction. Apart from the above mentioned reasons concrete quality is relatively good than concrete that is mixed at site. In addition to that, mixing concrete is in a way a polluting factor. Ready mix solution is economic as well as environmental friendly option. For large level projects investing in ready mix concrete plant will be the perfect option. Compared to the increasing labour cost and transit of concrete ingredients, managing construction expensed with innovative solutions brings good results significantly. Ready mix concrete is one of the solutions through which construction expenses can be saved enormously. oncrete is the basic requirement of every construction project either small or big. It is manufactured at the construction site or at a centralized concrete production unit from where it is then imported to the construction site. A special range of concrete equipment is employed for production and conveyance of concrete including concrete batching plant, mobile concrete mixers or transit mixers, concrete pumps etc. The modern equipments used in concrete production are advanced machineries capable of manufacturing concrete with complete automated production methods within shorter production times. The manufacturing time, speed, features and performance of these machineries may vary but not the way of manufacturing and ingredients required for manufacturing concrete. Concrete in a concrete batching plant or a concrete mixer is prepared by thorough mixing of ingredients that include cement, water and other aggregates. Let us now get the information on different ingredients that go into preparation of concrete in concrete production units or equipments. Concrete is a thoroughly mixed bi-product of cement, water and aggregates like sand, gravel and crushed stone. As the concrete is mixed in the production equipment the paste of cement and water will bind with aggregates. The mixed mass of ingredients will start hardening and form into rock like mass with passing time because of chemical reaction occurring between cement and water. 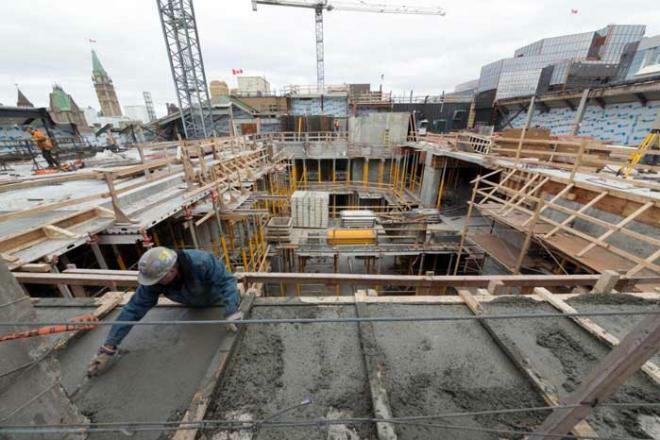 In many concrete production methods certain supplementary cementitious materials are also added. 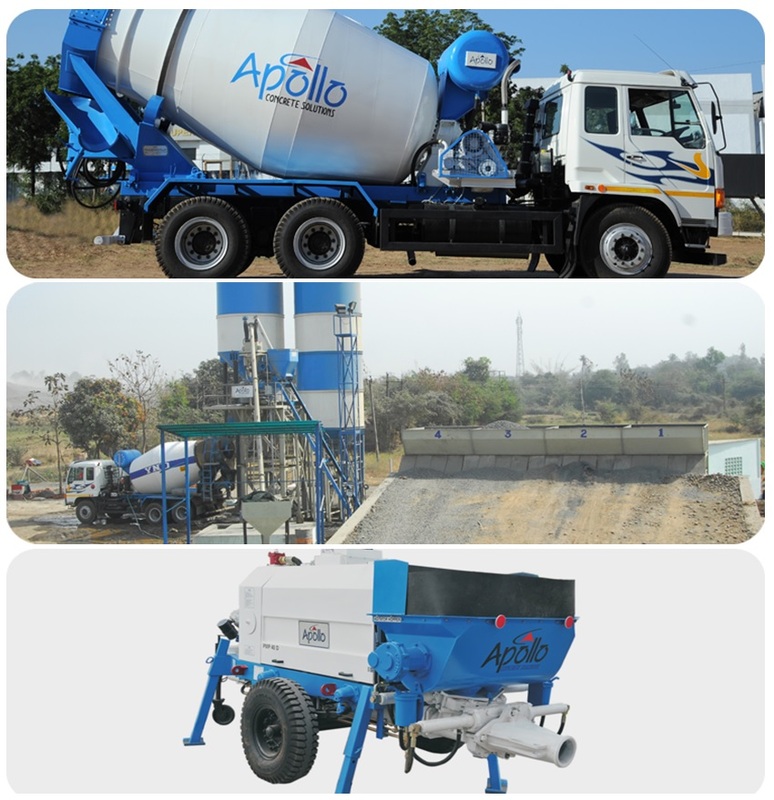 To know more about concrete batching plant production equipments, visit Apollo Infratech. Cement is the basic material for construction. It is main ingredient of concrete which helps in forming or setting of the concrete with its hardening property. Cement when combines with water, undergoes a process called hydration to form hard mass called paste. This paste acts as a gelling substance which holds together the other ingredients of concrete like sand, gravel, crushed stone, or other granular materials for formation of concrete. The amount of water present in a concrete mixture decides its thickness. More the water much diluted is the concrete mixture. Much diluted concrete is not effective for construction needs and therefore less water is often desired for an efficient concrete mixture. A proper ratio of cement and water will increase the effectiveness of concrete by increasing its flexural and compressive strength and resistance to weathering. Less water ensures better bonding between the ingredients of concrete decreasing the volume change of the concrete due to wetting and drying. This reduces permeability of concrete mixture and therefore giving it better resistance to cracking. More than 60% of the concrete mixture is made up of aggregates. These are less expensive and used to offer volume stability to the hardened concrete. There are essentially two types of aggregates used for production of concrete fine aggregates and coarse aggregates. Sand and combination of particles very small, less than 5mm fall under the category of fine aggregates where coarse aggregates include larger ingredients like crushed gravel and stone, blast furnace slag or crushed concrete with particles larger than 5mm. Aggregates can help control the shrinkage of concrete which when increased causes cracking that is not at all desirable in construction. Most often, apart from these above mentioned ingredients, even supplementary cementitious materials like fly ash, silica fume, calcined clay, calcined shale are also added in concrete. These materials in combination with blended cement will enhance the properties of the hardened concrete for efficient construction. Therefore it’s the proper amount or ratio of the cement, water, sand, gravel, crushed stone, fly ash, silica fume, calcined clay, calcined shale etc that decides the quality of concrete produced for construction needs. 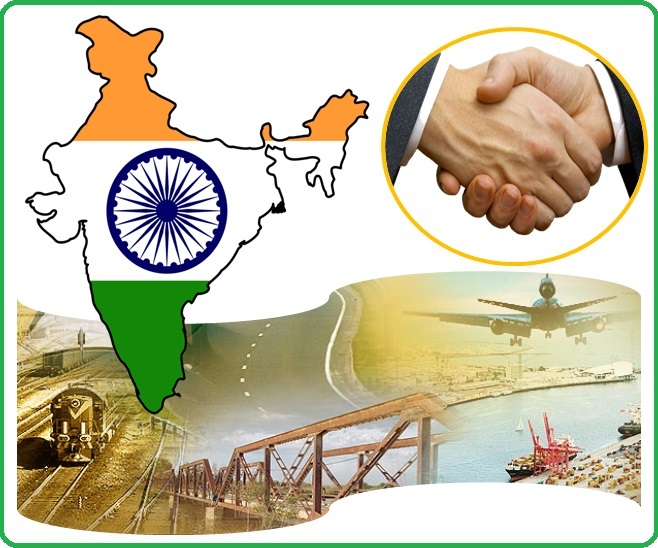 Apollo Infratech is a leading manufacturer of concrete equipments offering high quality concrete production solutions for Indian infrastructure companies for efficient construction needs. This article educates reader about ingredients used by concrete equipment in production concrete. Pre cast concrete are much preferred for concrete solutions for constructions today. As the name suggests, precast concrete is a construction product which is casted in moulds and cured in controlled atmosphere before itself at a precast plant and then transported to the site for construction applications. Precast concrete has several advantages over the standard site cured concrete. It offers a stronger, durable, efficient and easy to install solution for construction and engineering applications. The precast concrete products are casted earlier and arrive to the job site in readily available form which saves up lot of time employed during concrete casting at site. With precast concrete much reliable forms of construction are possible because studies reveal that precast concrete gets stronger with passing time and are capable of providing longer service life which may require a little or no maintenance at all. Moreover it is also easier to control the mix, place and cure precast concrete as it is manufactured in controlled production environments. All the dust, noise, wastage and disruption associated with the concrete production at site in traditional forms of construction are reduced in precast concrete constructions because the concrete is readily available for construction. As the precast concrete is made offsite, the constructors get the benefit of reduced energy usage, materials use and fuel consumption on-site. Today environment friendly solutions are being employed in every industry. The precast concrete can be recycled offers eco-friendly concrete solutions for construction industry. The precast concrete at a concrete batching plant is usually manufactured with high quality concrete equipment. Different kinds of concrete equipments are employed for production of precast concrete at concrete plant. These include concrete mixers, concrete pumps, concrete productions and casting equipments etc. The precast concrete equipment used at precast concrete production sites are usually the automated and advanced versions of machinery with which precast concrete can be produced much faster without wastage in minimum amount of time. There is a greater control of the quality of materials and workmanship with these high quality pre cast concrete equipment at a precast plant rather than on a construction site. So with precast concrete high technology concrete solutions for better quality, energy efficient and economic constructions can be ensured.